“Succeeding every time” may strike you as an ambitious, unrealistic aim but I can assure you it’s not if you choose how you measure success. If you measure success by the outcome or goal you cannot succeed every time. If you measure success, however, by how well you attend to the process you can succeed every time that you try and do your best. Because your measure of success will not be measured by the outcome but by your application to the process/procedure. Let’s face it, you can never determine the outcome because this will depend on what has gone on prior. For example, if you are in the WRC or Labour Court or Court the outcome will be decided by the adjudicator or the Labour Court or the judge. All you can do is prepare well and let the cards fall where they may. You will often have heard footballers and rugby players and hurlers talking about “sticking to our processes” after a match. This is because they know if they stick to their process the outcome will take care of itself. Shane Lowry, Dean Rock, Joe Canning, Johnnie Sexton all face high stakes outcomes when they stand over a putt or a free or a penalty. 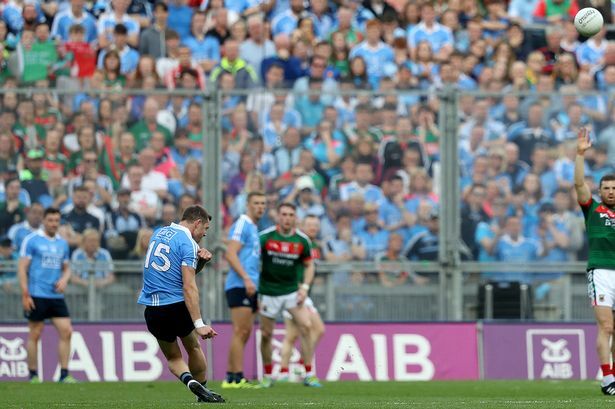 Dean Rock, for example, had a difficult free a few years ago to win the All Ireland against Mayo. But Rock was not thinking about the outcome of scoring or failing to score; he was thinking about his routine, his process because this was all he could control. And he slotted it by sticking to his routine, one that he had honed in Ballymun. Sexton, Joe Canning, Shane Lowry all have tried and trusted and well practiced pre-shot routines. This is because they know they cannot control the outcome, there are too many variables. They attend to the process and forget about the outcome because all they can control is their approach to the next shot,t he next putt, the next free. This routine is a little like a child’s comfort blanket, something they can rely on and familiarise themselves with in the comfort of their own training pitch or course. You can succeed in your next endeavour, therefore, if you measure success by how well you prepare and provided you do your best. And you can do this every time. Or you can worry and fret about the outcome and the consequences.